According to 451 Research, 55 per cent of technology executives rank security as a top priority when undertaking IoT initiatives, followed by infrastructure equipment and applications at 39.9 per cent and 39.5 per cent respectively. Further down the list, big data analytics (38.8 per cent) remains a crucial factor in rollouts, followed by IT staff support (31.2 per cent) and network perimeter technologies (27.8 per cent). 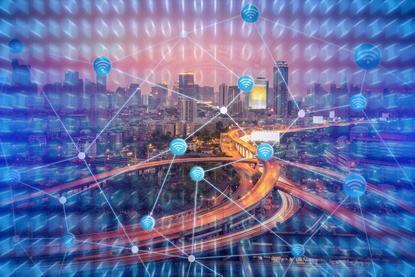 “The nature of IoT deployments make them particularly difficult to secure against cyber threats,” 451 Research vice president of IoT, Brian Partridge, said. “As industrial equipment is increasingly connected to the Internet for data collection and analysis, enterprises open themselves to the sophisticated world of security intrusions. Of note to the channel, Partridge said security is a headwind that “must be overcome” to accelerate adoption levels, with business leaders “staying on the sidelines” due to protection concerns. “They believe the risks are still too high against potential returns, but for those that do initiate IoT projects, security is still a top priority,” Partridge added. With enterprise organisations valuing security capabilities as the main reason for choosing a commercial IoT platform, 58 per cent of IT professionals also rank it as the top attribute in choosing a vendor or partner. Furthermore, customers ranks technical support and expertise as key (57 per cent), backed up by long-term viability (47 per cent). From a competitive differentiator standpoint, businesses predominantly seek value for money (46 per cent), innovation (45 per cent) and business outcomes (39 per cent), rounded off by an ability to display strategic vision (34 per cent), a network of partners (25 per cent) and breadth of product portfolio (25 per cent). Delving deeper, and according to an IoT Workloads survey, enterprises ranked the IoT attack vectors that most concerned them. At the top of this list were poor authentication of IoT endpoints such as sensors and network modules (64.3 per cent), unsecured enterprise IoT applications (63 per cent) and vulnerabilities in how end users access their IoT devices and applications. So where’s the opportunity for IoT providers? “The silver lining in all of this is that IoT security breaches have raised overall awareness of the issues and consequences when ‘things’ go wrong,” Partridge added. “It’s also raised the bar for suppliers who are increasingly fighting for deals based on their security cred.